Mention the name Robert Peel and the first historic figure that probably comes to mind is man most famous for the formation of the Police Force. This feature concerns his Grandfather, Robert Peel. Another nearby Lancastrian, James Hargreaves, had been experimenting with a machine that could do the work of a group of women sitting at individual spinning machines, far more efficiently. It was the forerunner of the spinning Jenny. Peel immediately recognised the potential and re-mortgaged the farm to raise money to develop the machine. In 1765, the first mill was in operation at Altham near Blackburn. It had a rack of 40 spinning jenny’s operating in tandem, each turning eight spindles. This was combined with Peel’s printing process to produce his earliest design which featured a single parsley leaf repeated in diagonal rows. This became widely known as ‘Parsley’ Peel and was a great commercial success. So much so that it became his nickname too. 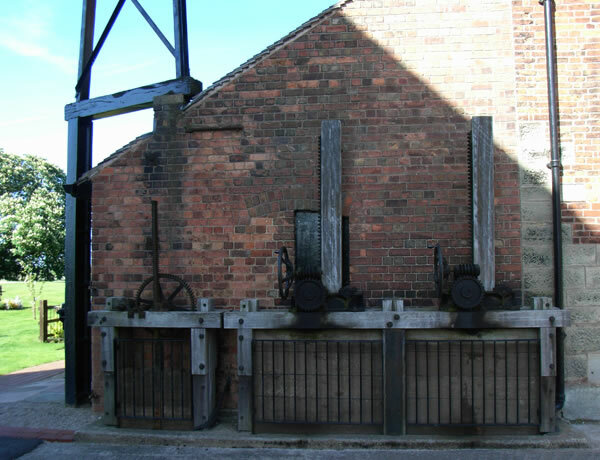 Industrial advancement was everywhere and within a couple of years of Peel’s first mill opening, Richard Arkwright had patented his water powered spinning frame and James Watt was on his way to perfecting the steam engine. Almost overnight mass production had arrived and cotton spinning was no longer a cottage industry. Hand spinners using traditional spinning wheels could simply not compete with ‘modern’ mechanisation. A large assembled group, feeling that their very livelihood was under threat, broke into Peel’s mill and destroyed as many machines as possible, throwing many of them into the adjacent river Calder. The textile world wasn’t ready for Peel’s advancements so, rather than trying to rebuild, he decided to look around for another potential site, far away enough from the rioters but close enough to his now established customers. Burton-on-Trent proved to be ideal. Most raw cotton arrived at the Liverpool docks and there was a direct link via the new Trent and Mersey canal which had been recently opened in 1777. Unlike the Lancashire he was leaving behind, Burton embraced the idea of new industry and Joseph Wilkes, a very successful businessman and director on the Burton Boat Company which leased the shipping rights on the river Trent from the Earl of Uxbridge and who owned his own bank, was more than happy to help finance Peel’s new business. Another great advantage of having Wilkes involved was that the terms of the Burton Boat Company’s lease enabled them to supply him with sites for mills and water to power them. Mill wheels need a guaranteed, steady flow of water to act as a driving force. Without proper water management the Trent at Burton was too unpredictable, too slow flowing and liable to flood. At Winshill however, there was already a site for a former fulling mill on an artificial island with suitable weirs and sluices to control the flow. By 1781, all remains of the original fulling mill had disappeared, to be replaced by a new much larger purpose built four storey mill. Another fellow director of the Burton Boat Company, Sampson Lloyd, also ran a foundry. This was just upstream of the proposed mill, allowing mill machinery to be built and easily shipped into place. After a few years, it was decided to remove the first floor to make a much higher ground floor which was comprised of 8 high bays measuring 120 feet by 30 feet. 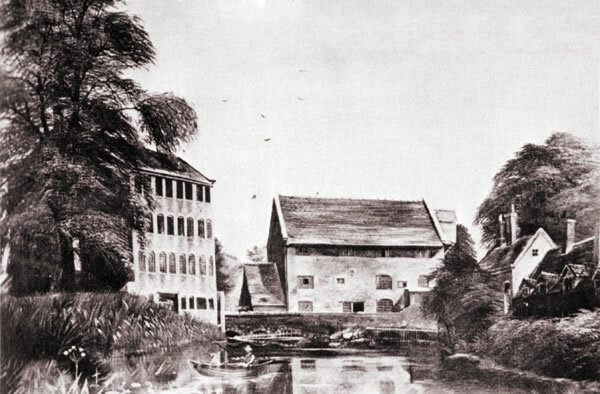 Before the arrival of photography, the above early 19th cenury painting of the Peel Mill, together with what was then, Burton Corn Mill, provides the best available record of the scene. Robert Peel, by now almost 60 years old but still very energetic and with two keen sons. A second mill soon followed at Bond End in Blackpool Close, 300 yards south of the Fleet stones. Construction started in 1782 and was completed the following year. It was supplied by water from a specially dug channel known as Peel’s Cut. To assist in the construction he purchased several large consignments of timber from J.W. Wilson of Burton costing £66.00. 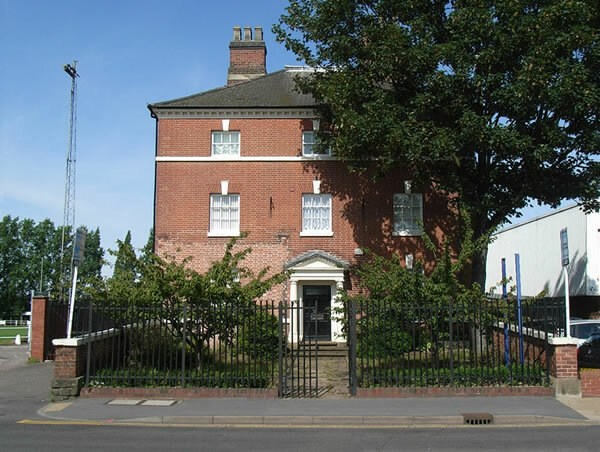 The third mill was constructed between 1784 and 1787 and was built on the site of the old Upper Mill near Waterside in Stapenhill. In 1795 the fourth mill was built at Bond End close to the other existing mill; this mill was called the “New Building”. In 1814, part of the old forge mill at Winsill was converted into their fifth and final mill in Burton. Robert had started by leasing two houses in Horninglow Street but, once established, brought a large Georgian town house in Lichfield Street which he re-fronted and completely refurbished. Peel House was conveniently close to his Bond End works. He also had cottages built close to their mills for workers and superior houses for managers, overlookers and superintendents. In little more than a decade the Peel’s had made the textile industry the major employer in the area, before the enormous growth in the brewing industry, and other business entrepreneurs, seeing the opportunity created by Peel’s success, started mills of their own. Thomas Dicken and Benjamin Wilson, two of the early brewers in Burton, left the brewing industry and joined forces to establish a mill on the river Trent at Alrewas. In Tutbury, John Bott and his son Charles, already involved in producing woollen cloth, erected a five-storey cotton mill on land leased from the Duchy of Lancaster in Bridge Street where the existing mill stream could be exploited as a power supply. Numerous other mills also sprung up and down the Trent from Burton. This rash of factories springing up to cash in on the advantages of new industrial technology may have been mechanised but manpower was still essential. Spindles had to be loaded, looms supplied with thread, machines constantly maintained, raw materials and finished goods moved. For the most part it was boring, repetitive and noisy work. Around a quarter of all mill workers were children. Many officially ‘paupers’, poor children and orphans sent as indentured apprentices to prevent them becoming a burden on their home parish in the days long before the welfare state. Mill owners were responsible for housing and feeding their apprentices. Hours of work in Peel’s mills were generally six o’clock in the morning until nine o’clock at night with only a short break for a midday meal, six days a week. They did though, directly and indirectly, provided employment for almost 800 local workers which was a significant proportion of the population at the time. Although conditions seem atrocious by modern standrads, they were actually much better than in many other industries of the time. Summoned before a Select Committee set up by the Government to investigate conditions in factories, Peel said that as a busy man he did not have much time to visit his factories personally and claimed that it was the mill managers, paid by results, who were responsible for the poor conditions and long hours. Robert Peel, now ‘Sir’ Robert Peel, to his credit, used his public position to try and improve conditions and supported several acts of parliament, among them, setting limits on the number of hours children could work and ensured they were provided with suitable clothing and a basic education. Robert Peel retired in 1792 and moved back to Lancashire leaving his sons in charge at Burton. By then, Robert Peel II had set up his own business. Initially in partnership with Wilkes he purchased the bulk of Sir Thomas Thynne’s Drayton Bassett estate and opened his own textile mills at Tamworth. 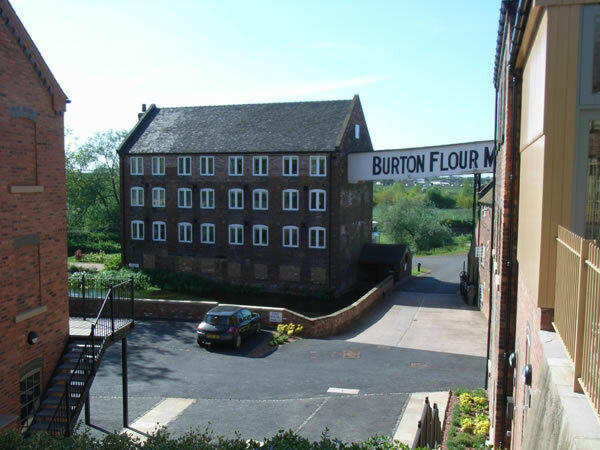 His son, John Peel, and other members of the family continued their operations in Burton for a few more years but in a fast moving business the local mills were becoming outdated and uncompetitive. Only one steam engine had been installed. The centre of textile manufacture was gravitating back northwards to Lancashire and Yorkshire. One by one the local mills began to close and brewing took over as the principal industry. 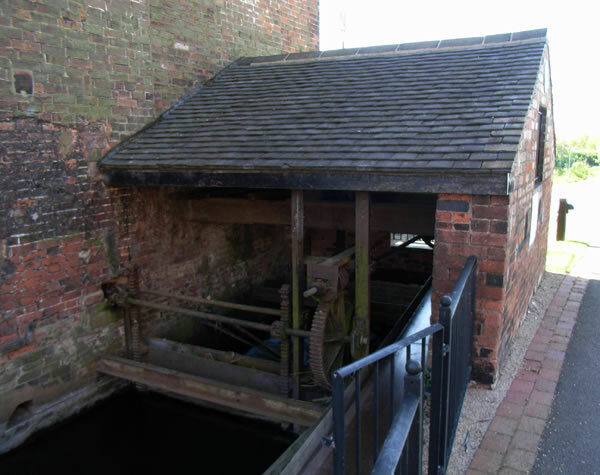 The original Peel mill can still be seen at the bottom of Mill Hill Lane in Winshill and it is still easy to imagine it on its own little island. For a while, it was used as part of the much larger Greensmith’s Flour Mill which grew up next to it. It has now been converted to apartments and, although the main controlled stream has now been replaced with a roadway, a number of the original mechanisms have been retained as features. Robert Peel II had a good London education before joining his father’s company. He was made a partner at the age of 23 and very soon, he had taken control of the business and began to make full use of the new technology that was transforming the textile industry. Peel, still a Lancastrian at heart, established other milling interests at Woodhill, to the north of Bury. After marrying the daughter of one of his partners, he settled at Chamber Hall in the town. It was there that Robert III was born, one of 11 children. Robert Peel II, with a much better education than his father had enjoyed, was a very shrewd businessman and, still aware that his introduction of machinery was still likely to cause problems among traditional Lancashire textile workers, he built a new factory in Tamworth and manned it partly with pauper children from London workhouses. Financially, this venture was a complete success and in the 1790s, Robert Peel II was recognised as one of Britain’s leading industrialists, commanding a workforce of 15,000. In 1790, he was elected MP for Tamworth and 10 years later he was knighted and became 1st Baronet. Sir Robert Peel II eventually sold his share of cotton mill interests and retired from business with enormous wealth in 1818. He continued to lobby for improvements in working conditions and supported the Factories Act, passed in 1819 banning the employment of children under nine. 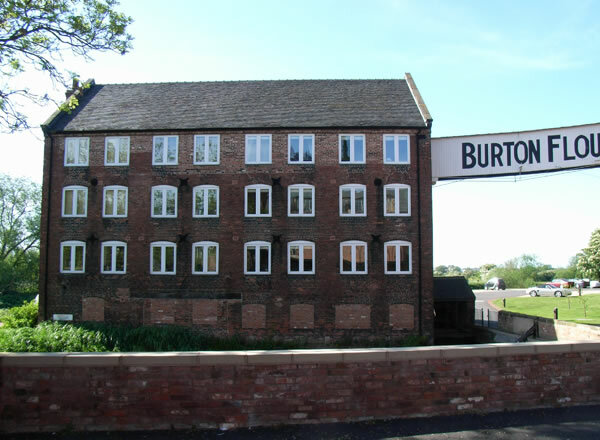 Nevertheless, 20 years after the Factories Act the Burton mills were employing 100 children aged between nine and 13 years. Despite his fortune which had been made using them, Robert Peel II became a strong supported of causes to improve working conditions and to better provide for the most vulnerable. In 1802, he was largely responsible for the Health and Safety of Apprentices Act, which limited the working hours of cotton-mill workers to a maximum of 12 hours a day. Sir Robert Peel II died at his Drayton Manor home on 3rd March, 1830. The next Robert Peel, born in 1788 near Bury in Lancashire, was the oldest boy and third of eleven children to Robert Peel (1st Baronet). Educated at Harrow, Young Robert Peel, for the second generation in a row, bettered even his father’s phenomenal success. Eventually, he bought Wilkes’ share of the business. 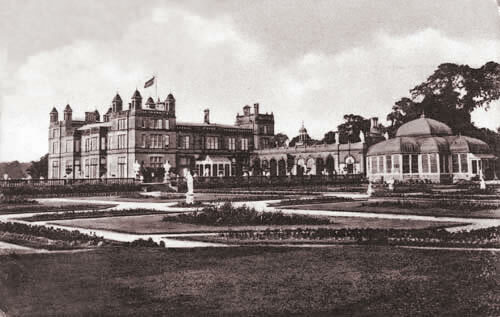 In place of his father’s manor house, he had the magnifient Drayton Manor mansion built by Robert Smirke, one of the most fashionable architects of the time, with the extensive grounds designed by William Gilpin, a great landscape gardener of the time. He also went on to represent Tamworth in parliament in 1809. Eventually, he became Home Secretary, where he was most famously instrumental in creating the police force (hence the terms ‘Bobby’ and ‘Peeler’). For the short period from 10 December 1834 to 8 April 1835, he became Conservative Prime Minister of the United Kingdom, and again from 30 August 1841 to 29 June 1846. Sir Robert was killed following a fall from his horse on Constitution Hill in London and was buried in the small parish church at Drayton. 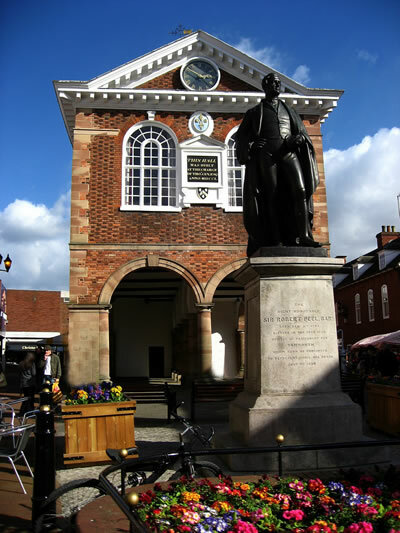 His statue stands in the Market Place at Tamworth. There were six baronets all together, all named Sir Robert Peel, until the direct line ended in 1942. The title was then transferred to a younger branch of the family and the present Earl Peel is the third Earl, fourth Viscount and eighth Baronet. All due in part to the success of a small mill in Winshill!